Hey there! Thanks for dropping by geocrusader80! Take a look around and grab the RSS feed to stay updated. See you around! Click on Install Guest Additions… from the Devices menu, then choose to browse the content of the CD when requested. I also came across another GIS virtual desktop called GISVM (Geographic Information System Virtual Machine) which can be founded at http://gisvm.com/- I will give this a try at a latter date and then compare the two GIS virtual desktops. New and interesting concepts of using maps to tell stories through animation. A new online tool, made by a team of historians and information technology specialists at Stanford University, shows just how long and costly it was to send people and wheat between cities in the Roman Empire. “It’s Google Maps for the ancient world, complete with the ‘Avoid Highways’ feature,” Scott Weingart, a doctoral student in library sciences at the University of Indiana, wrote in a blog-post review. A paper map can show how far two cities are from one another, but in a world of sailing ships and donkey trains, the shortest route wasn’t necessarily the one people would use. ORBIS shows likely routes based on conditions 2,000 years ago. The ORBIS team used ancient maps and records, modern-day weather measurements and modern-day historians’ experiments with trying to sail in Roman-style ships to inform their calculations. ORBIS helps historians see how the Roman Empire was shaped by the time and cost of moving people and goods between cities. Alaska is America’s last frontier. The origin behind this nickname came from its isolation from the rest of the continental United States. Alaska is a vast region with rugged terrain and harsh climates, bordered by Canada and several bodies of water. Many resources can be found in this remote land, but one of these resources, oil, has started controversy among its environmental impact and as a result has plagued this region. Approximately 50 years ago, Alaska was admitted as the 49th state of the United States. Europeans first discovered this land in 1741 when a Danish-born navigator, Vitus Bering, who was serving in the Russian Navy, was on an expedition around the northern Pacific Ocean. During this expedition, he sighted land on the southern coast of Alaska, in an area known as Kayak Island, in addition to the Aleutian Islands. Another vessel, captained by Aleksei Chirikov, was sailing along side of Bering’s ship when a storm separated them. Chirikov continued to explore and traveled to various points along Alaska’s coast until his crew became ill and the journey could no longer continue. From this point, the Russian’s occupied the Alaskan territory; however much of it was unexplored. On October 18, 1867, the land was purchased by the United States for approximately $7.2 million dollars. Alaska has many geographic landscapes within its boundaries; some of which have helped its economy and others which may it difficult for settlements to survive. 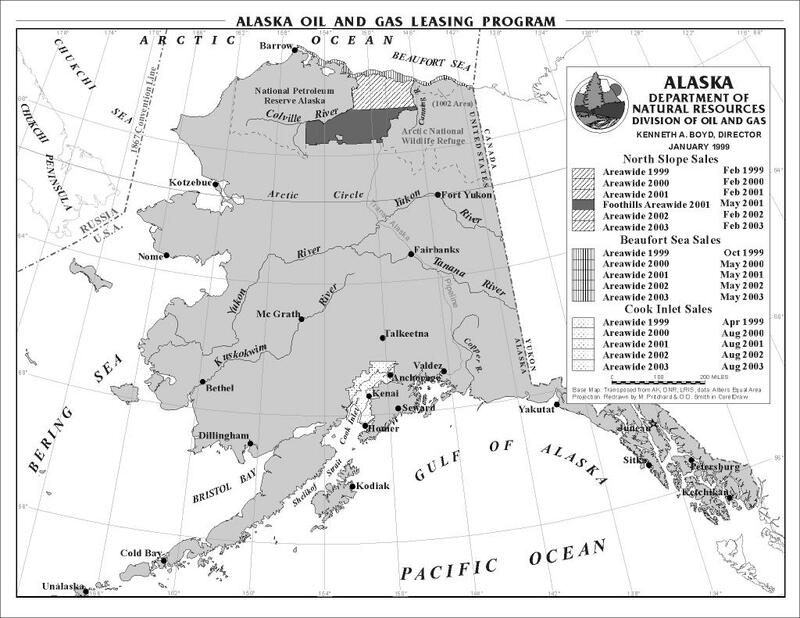 Gold and oil have had a significant impact on Alaska’s geographical landscapes, while the climate has prohibited development in many places across the vast region. Alaska’s economy has improved over time due to an abundance of resources. Timber, oil, sea foods, and tourism have all contributed to this growth. Furthermore, Alaska was first attracted to Americans by the gold rushes of Juneau, CircleCity, Klondike, Nome, and Fairbanksin the late 1800’s. Over 30,000 people flocked to these areas in the hopes to strike gold; however, with the increase in population, Congress had to start applying laws to the territory to keep order. After the gold rush had ended, many of the people who originally migrated to Alaskaended up staying there which resulted in Alaska’s population quickly increasing. Small settlements grew into big towns, such as Fairbanks, Juneau, and Nome. Also, the development of a railroad system in Alaskawas built to connect mines throughout the territory to the port of Seward, located on the southern coast of Alaska, which allowed the flow of goods and resources to be dispersed. The Alaskarailroad connected the towns of Fairbanks, Anchorage, and Seward. Eventually, as time progressed, the railway was growing with the increase of military personnel moving supplies and other resources in increasing demand. The economic, cultural, and political geography of this land had transformed greatly after the discovery of gold. Economically, the gold rush contributed to a growing economy that assisted in the establishment of many new settlements during the turn of the century. Culturally, the area of Alaska with gold deposits was predominately Native Americans. The gold rush expanded the culture with the massive amounts of people migrating to these areas. New customs, religions, and beliefs contributed to the socio-economic way of life that was originally not available. Lastly, the political geography of Alaskawas slowly changing in order to cater to the growing population. Congress and the United States started recognizing Alaska; instead of being a vast open land, it was seen as an area of the United Stateswith an abundance of resources. This observation provoked many changes in the laws of Alaska. Another major improvement to Alaska’s economy was the opening of vast oilfields in northern part of the state. In the 1970’s, the United States authorized a pipeline to be built to transport the oil from the Arctic Ocean at Prudhoe Bay to the Gulf of Alaska at Valdez. The pipeline, which is called the Trans-Alaska Pipeline System, runs approximately 800 miles between these two areas and has transported over 15 billion barrels of oil since it was built. In Valdez, the oil is then shipped from the port of Valdez to the mainland of the United States for further refining. Supposedly, there is also a great abundance of oil that can be found in the Arctic National Wildlife Refugee (ANWR), located in northeastern Alaskaand other areas of the Arctic; however, environmentalists continually fight the possibility of drilling in this tundra region. In an article by Mitchell, he states “much of the debate over whether to drill in ANWR rests on the amount of economically recoverable oil, as it relates to world oil markets, weighed against the potential harm oil exploration might have upon the natural wildlife.” Some of the animals, birds, and mammals in these habitats that would be affected include caribou, polar bears, walrus, and whales, among other species. In addition to damaging the habitats of these animals, there is also political and cultural landscapes affected. Politically, the Canadian government opposes anytime type of drilling in this area due to the shared boundary with the Yukon Province. Two Canadian national parks, Ivvavik and Vuntut are located in the vicinity of the opposed drilling sites and also provide refugee for various types of animals, especially caribou. These parks have banned any type of industry from developing these lands and expect the United States to treat these lands with the same respect. Since the discovery of oil in Alaska, it has become a major revenue of the state, in addition to income for many Alaskans. The residents of the state along with the Alaskan government are for the idea of drilling in these protected lands because it will increase profit and revenue for them from the oil leasing. The Native Americans of the geographic region have split views on whether to drill or not depending on where they live. For instance, the Inupiat Eskimos who live north of the mountains named Brooks Range, are for onshore drilling, but oppose to offshore drilling; where as the Gwich’in Indians, south of the Brooks Range, pose the drilling as a threat to their environment. Other supporters of the drilling argue that the oil able to be salvaged beneath northern Alaska’s tundra could equate to many decades of importing oil from the Middle East. This would decrease our dependency on oil from foreign countries and reinvest our money in our own economy vice in a foreign government. Regardless, of the aforementioned pros and cons, there still has not been enough research to determine how the drilling would really affect the geographic landscape of northern Alaska. Many of the geographic landscapes affected by the extraction of petroleum have had similar results to Alaska’s economy as in the gold rush. Petroleum extracts make up the majority of revenue for the state of Alaska. The physical geography of Alaskais mostly mountainous with 14 ranges covering the majority of area within the state, along with hills, valleys, and rivers. Natural disasters such as earthquakes and volcanoes are known to have helped shape the geography of Alaskaover the past millions of years. In addition, Alaska is surrounded by water on three of its sides: Arctic Ocean to the North, Bering Sea to the West, and the Pacific Ocean to the South. The total area of these three bodies of water consists for 43,887 miles of the coastline. However, most of Alaska’s physical geography is very remote and inhabitable and covers approximately 590, 804 square miles. It is extremely cold making it very difficult for any type of agriculture, cultivation, extensive development, or permanent settlement for most people. The largest city, Anchorage, does not have more than 300,000 people residing in it. Most of the northern lands are tundra and permafrost. Permafrost consumes about 80% of Alaskaand impacts the physical infrastructure of Alaska. Constructing buildings over permafrost could cause it to melt resulting in the buildings to partially sink. Similarly, roads in permafrost areas can cause the subsurface to melt resulting in road depressions and expensive repairs. 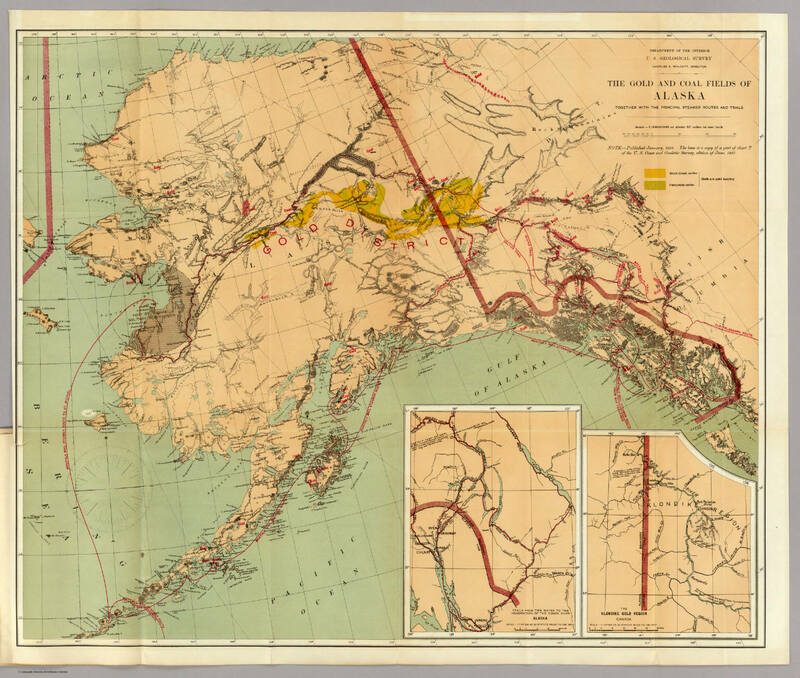 Since it is so inhabitable, the region has not been explored in great detail; however, in addition to what has already been found, it is possible there may be even more resources in gold and oil that have not been found and which would be very beneficial to Alaska. In conclusion, many industries have been established in Alaska. Gold, copper, and coal mines have been created from the abundance of resources located within or near the various mountain ranges in this geographic region. In addition, oil and gas pump stations have been created from various regions in the north. Since the land is so remote, railroads and pipelines have been built to transport theses resources to other parts of the country, mainly through the ports of Valdez and Seward. Unfortunately, between the northern and southern regions of Alaska, the land is extremely rugged and unstable, with three mountain ranges, permafrost, rivers and streams, and many migration paths for animals, in addition to active fault lines. As a result, the geological activity between the north and the south has caused many problems for the pipeline, as well as the railroad, which does not travel as far north. This study will examine the potential for a design of a project in regards to a wireless phone company who is interested in expanding their communication network to receive better coverage in the Greater Boston Metropolitan area of the Commonwealth of Massachusetts. The project will consist of sorting through many datasets available online via http://www.mass.gov/mgis/massgis.htmand then downloading key features that may assist in the creation of geodatabases. Ultimately, this will align the various analyses of determining which datasets will reveal ideal locations for the new cell towers. Furthermore, new developments have boosted the population in and around Boston creating a greater demand for communication technologies, especially as the networks are expanding into 4G standards. The following layers will establish a base foundation dataset in order to perform several different types of analyses. Some of these datasets may be repetitive (i.e. some of the data will be downloaded for awareness) or may only be used as a reference and not in the actual analyses (which are located immediately below). Vector Files – Community Boundaries (Towns) from Survey Points/County Boundaries/State Outlines/Massachusetts 2000 Urban Boundaries/Zoning/Trains/Building Footprints (2-D, from Lidar data)/Datalayers from the 2000 U.S. Census: TIGER Linework (Roads, Railroads, Rivers and Streams, Powerlines, etc. ), TIGER Water Bodies, and TIGER Towns. Additional layers can be found at http://wireless.fcc.gov/geographic/index.htm– it is important to understand the current cell tower infrastructure in identifying gaps in coverage or where they may lay in regards to more population density in one area over another. Also, major thoroughfares need to have consistent connectivity for travelers as well as be able to handle the influx of users on a cellular network. This site provides maps showing FCC licensing data, regulated towers, and market area boundaries. These maps then need to be converted into a raster file and eventually digitize to extract the generated information on the map into vector files. Another website I would extract data from would be www.cloudmade.com. There are no guarantees on what type of data will be available, but cloudmade.com allows you to download various shapefiles of landmarks, infrastructure, and other user-generated data that has been uploaded to openstreetmaps.com. Acquiring traffic data will also be of value for this project in order to identify high trafficked areas of cars along major thoroughfares. There are several types of analyses I would use within ArcGIS in order to conduct this project. Proximity analysis is useful in several different ways. First and foremost, in this project the geographic constraint is 25 miles outside of the Boston city limits. I will create an extent polygon in order to clip out each of the attributes of my shapefiles that fall outside of this area. This will allow me to use smaller datasets and not have to be concerned with highways and schools (including colleges and universities) outside of the constraint, among many other shapefiles’ attributes. On the other hand, some of the features are not necessarily that important by themselves. For example, there are various types of water features or conservation/recreation layers that do not need to be standalone files. Merging these various datasets in order to eliminate unnecessary cluster is important so there is less data to work with. The important factor as a result is that at least the water features and conservation layers are captured since building a cell tower is not an option within these locations. Another type of proximity analysis is buffering. In order to identify build zones, a 1 mile buffer must be conducted around the MassDOT Roads (attribute: highway) shapefile and then the lines must be dissolved in case several highways are in close proximity to one another. In addition, buffering must be done with a radius of 1 mile around all schools. Once the new shapefiles are generated as a result of the buffering tool, I will overlay each of the buffer files and delete from the highway buffer, wherever the school buffer file overlaps to minimize the amount of ideal locations. Besides proximity analysis, other types of analyses will be useful in finding ideal locations for the new cell towers. Towers need to be located in areas where population density is higher than normal to cater toward the influx of people utilizing the network. As a result, a population density analysis must be conducted based from census data. Elevation data can assist in terrain analysis in order to identify any hills or peaks above and beyond 250’ above sea level. Once this area is identified, soil and hydrographic analysis will be conducted in order to determine the ground suitability for building the tower to ensure it is placed in a strong foundation. Lastly, since cell towers need to be in a close proximity to other cell towers, the next type of analysis I will conduct is a Line of sight analysis to ensure the newly identified locations are within a certain distance from other towers and there are no vertical obstructions and to identify the potential cell coverage. The results of this project should determine what areas within the Greater Boston Metropolitan region are ideal in order to build new cellular towers. The additional datasets from the FCC website will help to alleviate any overlapping towers in order to improve the communications network. Geospatial data of the amount of users per cell towers in and around the ideal locations would probably improve this study. Since urban and rural areas have different needs in regards to cell tower use, towers need to be located in ideal locations, but since cell towers are known to possibly cause health issues, towers must stand clear of schools and recreational areas. This most anticipated roadblock will be the accuracy of all of the data. Not all the data in the files being used has been captured in the past year. Therefore, some of the data may be missing components crucial to a full and complete analysis of identifying ideal locations. Further research needs to be done to confirm the validity of all the data. For example, have any schools closed down since the shapefiles were generated or have new school been built would be questions that need to be answered. Also, an urban legend about cell towers is often told that they cause cancer and serious health risks. Cellular technology is a relatively newer technology and the health community is unable to confirm this suspicion as of yet; however, the public still has some reservations about them being erected nearby to residential areas. Lastly, the wireless company may have to pay rent for the location of the tower especially if it’s close to residential areas because of the depreciation of property that it will affect the neighborhoods the towers are being built around. Throughout history, empires have chosen specific boundaries based on mainly cultural and physical geographic areas. The British Empire, which controlled many geographic areas in various continents throughout the world, was notably known for performing choosing specific boundaries. Frequently, in the news I see Israeland its territorial disputes with its neighbors; therefore, I have decided to focus on Israel’s sources of conflicts based on its boundaries. I will begin with a brief geographic history of Israel for an understanding of its current events. The land now known as Israelwas once called Palestineis considered a holy land to the Muslims, Jews, and Christians. Ancient Hebrews that lived in this region called the area Caanan. After 1000 B.C., this area was split into two different kingdoms which were called Israel and Judah and were invaded by other empires constantly, some of which were the Egyptians, Macedonians, Romans, Persians, and the list continues. Most of the original Hebrews who settled the region were then forced to emigrate elsewhere. Afterwards, Palestinebecame a center of Christian pilgrimage after the emperor Constantine converted to that faith. Hundreds of years later, the Arabs gained control of Palestine from the Byzantine Empire and Muslims continued to rule this region until the 20th century. Throughout this period, Hebrews started to settle back into Palestine. During World War I, British forces defeated the Turks in Palestine and governed the area until they officially withdrew in 1948, which formed the State of Israel. In the following days, Muslim forces from Egypt, Jordan, Syria, Lebanon, and Iraq invaded the new formed nation. As a result, Israel had increased its original territory by 50%, taking western Galilee, a broad corridor through central Palestineto Jerusalem, and part of modern Jerusalem. Almost a decade later, Egypt nationalized the Suez Canal and forbidden Israeli shipping to travel through the newly created canal. This led Israel to seize the area known as the Gaza Strip located on the Sinai Peninsula. Another decade later, Israel made simultaneous attacks against Syrian, Jordanian, and Egyptian air bases, totally defeating the neighboring Muslim nations which tripled the size of Israel’s territory. The areas controlled by Israel were the Golan Heights, the West Bank of the Jordan River, Jerusalem’s Old Cityand the Gaza Strip. As a result, the dispute over the territories controlled by Israel has created a sense of instability in the region. The land that was provided to the Hebrews from Great Britainis now in constant turmoil. The Palestinians, who are of Arab descent, are now looking to regain control of their land. Constant upheavals in the area known as Gaza continue to rise. The primary issue that continues to instigate this conflict is the attempt to maintain an ethnically preferred state which is inevitable considering the majority of people in Israel are now Jewish. This region once was mainly settled by Muslims; however, they are now prohibited from returning to their homes because the state proclaims Judaism. Furthermore, Israel’s military occupation over the aforementioned regions that were seized prior to the 1970’s is still burdensome to the Palestinians who have minimal control over their lives and live in disarray daily. Peace efforts continue to try to resolve this conflict, but Israel refuses to give the controlled land back to its rightful owners who were forced out. Obviously, when the original borders were implemented, no one took into consideration that people would be forced out and not have anywhere to go. Hopefully in the future, Israel will resolve this issue by giving back the Gaza, West Bank, and the other areas they have taken control of especially because it is a constant battle to keep these lands for Israel. The former state known as Kashmir has been disputed for over 50 years between India and Pakistan. The conflict started shortly after the British Empire gave independence to Indiaand Pakistanwhich was around August of 1947. Immediately following the independence, the Marharaja of Kashmir, Hari Singh, contemplated which country would be more advantageous for his state to join. Both, Indiaand Pakistan were divided by the British due to their religions and Kashmirwas left to make a decision to transfer their power peacefully. Singh was torn between his religion, Hindu, and the majority religion of his people who were mostly Muslim. Since there was a larger Muslim population than Hindu, Pakistanand the people of Kashmir wished to become part of Pakistan. In addition, Pakistanfeared that Indiawould cut off their water supply coming from this region. Kashmir has a diversity of different religions throughout its region. In the 1940’s, the total population was just over 4 million people, approximately 77% were Muslim, 20% Hindu, 1.5% Sikh, and 1% Buddhist. However, the ruler of Kashmir, Hari Singh, practiced Hindu beliefs; therefore, creating a religious conflict. This resulted in extensive violence in the region between Hindus and Muslims. Overall, Singh’s conflicting dream was to continue ruling Kashmir as an independent nation. A few months later, the Pakistani army and Pashtun tribesman from Pakistan invaded Kashmir in hopes to seize the land for Pakistan. They pillaged towns, looted, and raped Kashmiri women. In response, Singh annexed Kashmir to India in return for military aid from the Indian army which would defend Kashmir. Shortly thereafter, the United Nations ordered a ceasefire at the end of the first Kashmir war. As a result of the invasion, Pakistanoccupied a substantial part of the Kashmirvalley, totaling approximately 36,000 square miles. In 1963, Pakistanceded an area known as Trans-Karakoram Tract to China; however, India still claims this area because they do not recognize Pakistan’s region of Kashmir. Since turmoil continued to affect the region in two more wars, the United Nations has attempted to resolve the conflict by enacting new resolutions. However, this region of South Asia has caused much violence contributing to this conflict, due to its sparse and different cultural geography. Kashmir is on the brink of a nuclear war due to this conflict between Pakistanand India. Moreover, many terrorist groups are being harbored in this region that is also in support of Al Qaeda, among other groups. This has created much indifference between Pakistanand Indiaresulting in several wars and instability in the region. As a result of the unstableness in this geographic region, the international community is extremely concerned of what the outcome might be. Separatist violence in Kashmir has been increasing as time has progressed. India continues to blame Pakistan-based militant groups for many deadly attacks against Indian civilians, in addition to Indian government security forces. Most of these militants have ties to Islamic terrorist groups as well. In March 2003, the chief of India’s Defense Intelligence Agency reported that “70 Islamic militant camps are operating in Pakistani Kashmir. In May 2009, the Indian Defense Minister claimed that about 3,000 “terrorists” were being trained in camps” on the Pakistani-controlled region of Kashmir. In addition, it is thought that Al Qaeda may be active in Kashmir as well (Kronstadt 2003). Indian authorities are also urging that the U.S. and international community pay closer attention to anti-India terrorism originating from Pakistan. Another international concern between these two countries is the possibility of nuclear war. In 1998, Pakistanand Indiaboth tested nuclear bombs; thus escalating a minor conflict into a possible nuclear conflict. Since then, there have been concerns over if the two countries would resolve the conflict by nuclear resolution. Both countries also have their own extensive nuclear policy. Pakistan’s nuclear policy is “is to act in a responsible manner and to exercise restraint in conduct of its deterrence policy.” Their nuclear policy also does not want their capabilities to affect non-nuclear weapon countries within in the region; therefore, Pakistan’s nuclear policy seems to allow a nuclear attack only on the defensive. On the other hand, India’s nuclear policy stands on the offensive. Its policy will have nuclear involvement only if Indiais reacting to a nuclear, biological, or chemical attack that affects their land or citizens. There are presentation slides in the "Online Books and Materials: Map Analysis Workshop Materials" by Joseph K. Berry that go over various topics in the workshops presented such as Introduction and Data Considerations, Spatial Analysis Techniques and Considerations, Spatial Statistics Techniques and Considerations, GIS Modeling Approachesand Considerations , among others. There is also a free online book which can be downloaded that covers a wealth of topics such as Spatial Interpolation Procedures and Assessment, Where Is GIS Education?, Analyzing Accumulation Surfaces, Linking Data Space and Geographic Space, Analyzing Landscape Patterns, Applying Surface Analysis,  Human Dimensions of GIS, Overview of Spatial Analysis and Statistics, Spatial Data Mining in Geo-business and much more. Recently, I came across a book called the Clash of Civilizations by Samuel P. Huntington which takes a look at people’s cultural and religious identities and argues that this will be the primary source of conflict in the 21st century. I believe that the clash of civilizations seems to be a very broad statement in the use of Huntington’s thesis. Personally, I have mixed feelings towards Huntington’s theory. On one hand, it is possible to picture the validity of the clashing of civilizations; however, on the other hand, I am in agreement with an article by Amartya Sen (2006) titled “What Clash of Civilizations? Why religious identity isn’t destiny” that states that “the increasing tendency to overlook the many identities that any human being has and to try to classify individuals according to a single allegedly pre-eminent religious identity is an intellectual confusion that can animate dangerous divisiveness.” When comparing civilizations, a civilization can be reduced down to a small scale, it doesn’t necessarily have to be compared to historic civilizations such as Ancient Greece, Ancient Rome, Mesopotamia, and so on. I believe all factors will come into play when conflict occurs, not only cultural factors like Huntington states. Every year, the world is becoming more and more global with technology, especially the internet. Many cultures that were once isolated years ago are now sharing many traits with other cultures because it is becoming the “norm” globally. Immigrants that live in repressed or poor regions of the world are now increasingly migrating to Western countries because they believe it will lead them to more opportunities and a better life. The mixing of cultures is becoming more and more acceptable; however, tensions of cultures worldwide will always have some sort of conflict. Huntington’s thesis is inaccurate when it breaks the world into eight different civilizations. Many states and nations within these “8” civilizations have conflicts daily and even within their political boundaries. Therefore, I believe the world is becoming more economical and countries of different cultures are now uniting with other countries of the world for these reasons. The main conflicts will be more of an internal conflict than a worldwide conflict of cultures. So let’s take a step back for a moment at all the major conflicts since the 21st century. Afghanistan War, Iraq War, Sudanese Civil War, Russo-Georgian War, Arab Uprising revolutions, and radical Islamist jihads. With the exception of radical Islam, none of these other conflicts were really based on religious ideology. They were either political, economic, or over territory in my opinion. Islamist radicalists can blend in with any society, no matter where it is to cause harm toward others. In Huntington’s thesis, they are mostly concentrated as one civilization, “Islamic civilization.” Regardless, there are no boundaries to these non-state actors and they have developed cells all over the world in many other civilizations than the Islamic one. I would think this would be the closest example that would tie into the thesis. Yet still, they also fight within their own “civilization” and against other Muslims. Their interpretation of Islam is very different than other interpretations within the culture. Not all Muslims believe what these radical Islamists believe in; Islam is supposedly a peaceful religion, this just comes to show that it is not possible to divide the world into civilizations. I welcome everyone’s thoughts and comments on this posting. I would like to initiate a respectable discussion.